The ultimate upgrade to your outdoor lifestyle. 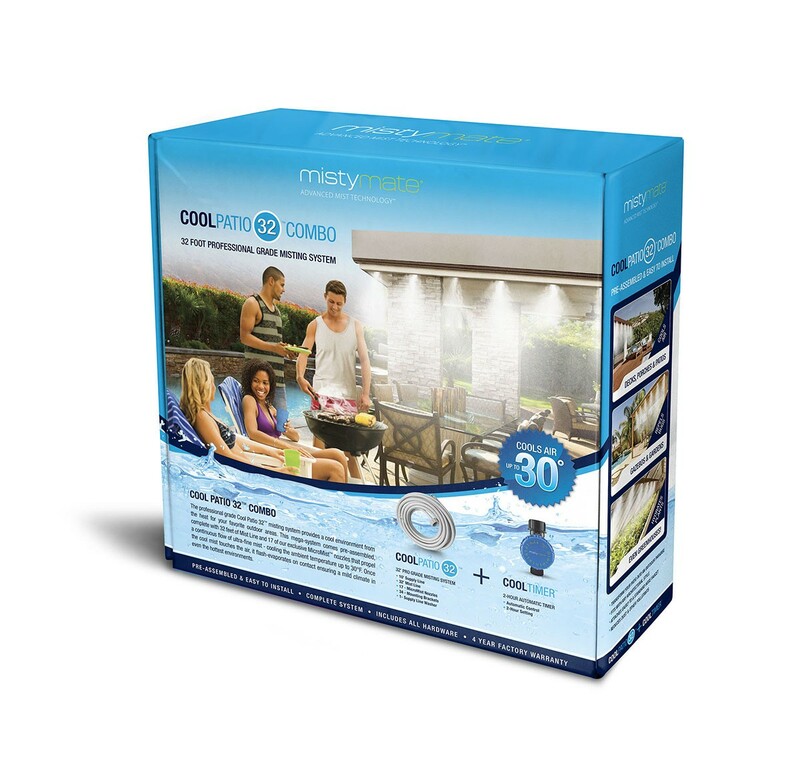 The professional grade Cool Patio 32 Combo Misting System provides a cool environment from the heat for your favorite outdoor areas. This mega-system comes pre-assembled, Complete with 17 of our exclusive MicroMist nozzles that deliver a continuous stream of ultra-fine mist, & can cool the ambient temperature up to 30°f. Once the mist touches the skin, it flash-evaporates on contact ensuring a mild climate in even the hottest environments. Includes bonus:The CoolTimer 2-hour automatic timer will automate your outdoors, hassle-free. Just connect & set the Cool Timer to your desired time increment & program your favorite lawn & garden products to turn ‘off’ independently following completion of the time allowance. The Cool Timer is designed specifically for use with MistyMate misting systems but is also compatible with most other lawn & garden products that utilize an outdoor spigot. Compatible with all 3/4” spigots.